Valentine's Day is just around the corner; and with Valentine's Day comes an expectation of confessions of love, and romantic gifts. However, for those of us who live an unexpected and ethical lifestyles, it is hard to know how to go about getting a gift for a loved one. Here is my list of things that are incredibly romantic, but are kind to Mother Earth! 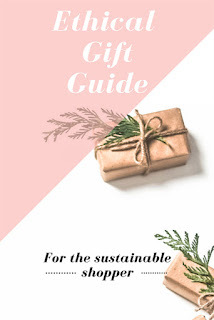 Warning: Some of these gifts are handmade, and some come from an amazing business (uncommongifts.com) where you can find eco friendly things on the website that are uncommon! It's an amazing site, and I highly recommend checking it out if you have the free time. One: Bathroom Set: Every vegan and vegetarian cares about the planet just a little bit. It is guaranteed with the unconventional lifestyle choices we make. However, we as a group of people also care about ourselves and our health as well. There are hundreds or even thousands of reasons to go vegetarian and vegan. The skin is the largest organ of the human body, and it also needs to be cared for. Why not show your loved one (either masculine, non-binary, or feminine) you care by putting together a bathroom pampering night set for them to use? 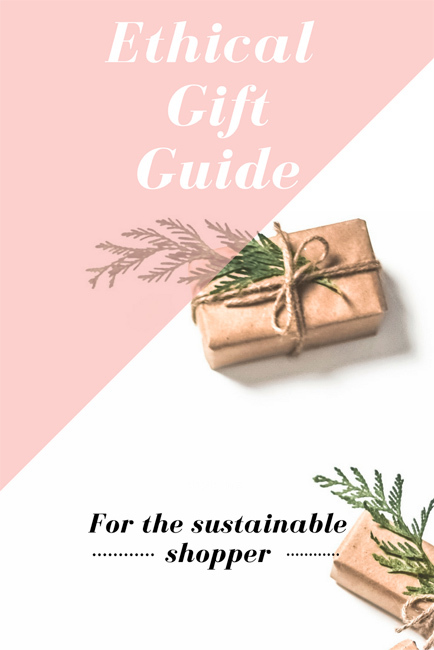 You can make the products, or buy them from eco friendly shops, small businesses, Etsy shops, or even buy a pre-made one for your partner to use! It is guaranteed to put a smile on their face! Some products that you could include are: a wooden hairbrush, a wooden comb, a dry brush, a bath oil, a moisturizer of some kind, a nontoxic and fluoride free toothpaste, a wooden toothbrush, a nontoxic and aluminum free deodorant, an eco-friendly bath bomb, a homemade bar of soap, a homemade shampoo bar, or even a homemade conditioner bar. I could keep going, but I hope you, my dear readers, understand what I am trying to get across! Two: Random Acts of Kindness Card Game: The description of the card game is as follows: "Become a Card Carrying Member of the Revolution Change the world in four easy steps with these intentional act of kindness kits. With the 26 cards in each, you'll find yourself picking up someone else's tab at a restaurant, writing a letter to someone who inspired you, picking up the trash on your street, giving genuine compliments and so much more! The coolest thing about Boom Boom! cards is that you can create a chain reaction of covert kindness that could theoretically travel around the world! 1) Do the revolutionary act of kindness on the card. 2) Go to boomboomrevolution.com and tell your story and upload pictures and video. 4) Follow your card on the website's map as it moves across the globe! Three: Calming Affirmation Stones: The item is described as: "Stress Recycling Center Let this set of three naturally beautiful stones serve as a reminder that you have the power to find consistent calm. The stones are sourced from around the world and grouped to emphasize serenity: Blue Lace Agate is thought to have stabilizing, trust-promoting dimensions; Rose Quartz is associated with love and an open, forgiving heart; Amazonite is a symbol of soothing well-being and conflict resolution. The trio is accompanied by an affirmation card with the message, 'With every breath, I release the anxiety within and become more and more calm.' Carry them in their cotton drawstring bag as to inspire everyday inner peace, or add them to your decor for an earth-centered touch. Packaged in Los Angeles. Due to the nature of this item, each is unique and will vary." Four: Essential Oil and a Diffuser: Giving someone an essential oil seems expensive, but some oils are actually pretty inexpensive. People put on approximately 80 chemicals on their body before breakfast. People put a minimum of 300 different chemicals on their body every single day. These come in the forms of soap, makeup, lotion, laundry detergent and fabric softener. All kinds of chemicals. Did you know that your skin is the largest organ in the human body? Everything you put on your skin goes into your blood stream and that directly affects your health and wellness. Just think about all of this before you attempt to put something on your skin. The chemicals in them are known to cause asthma, endocrine disruptions and/or cancer. Essential oils are a better way. They are 100% natural and chemical free. Nothing is in them except the benefits from the plants. Each oil has a different benefit, just like fruits and vegetables have different benefits. There are over a million uses for essential oils- cleaning, physical support, personal care, supplements, beauty, baby care, emotional balance, hormone health, et cetera. Giving someone just one essential oil and a diffuser is a really easy way to show someone how much you care about them, and it is helping them stay healthy! Plus, there are some amazing looking diffusers! This link to Bulk Apothecary has some really cool looking ones: (https://www.bulkapothecary.com/diffusers/) . Five: A Handwritten Love Letter A handwritten love letter is an art lost to the modern world. I write letters to people when I need to think about what I'm going to say. I plan out what I want to say, and make multiple drafts to make sure I say exactly what I want. My ex-partner would write me letters when we would be apart for long times, and they were the most romantic things I have. I kept every single one, even after we broke up. Some of them are poems, describing the way the sun would hit my eyes, and how my hair looked in the moonlight. They are the most romantic things I have ever read, hence my keeping them even after we broke up. Six: Bonus Idea: An Experience Giving someone an experience is an amazing way to make a memory. There are plenty of ways to do this: make a meal for your beloved, take your loved one out to eat, go on a hike if it is warm enough, start gardening if you have the time, build something together, take a painting class and make a piece of art, or do something for them that you know that they hate doing, but have to. For example: do their laundry for them, make them breakfast in bed, make their bed for them (there really isn't anything as satisfying at the end of the day to a made bed), do their dishes for them, clean their house or apartment for them. Doing these little things say I love you, without you spending any money. And, they will be incredibly happy that you did this for them, because in my short 21 years, I've noticed people appreciate the little things more than they do the big things that people do for them. Have an amazing Valentine's Day! About five years ago I worked in a Raw Vegan Cafe. One of the things I learned to cook while I worked there was Taco Nut Meat. It also happened to be my favorite thing! What I liked about it best was that it was close to "regular" taco meat, but only better. This is not only 100% vegan it is 100% RAW vegan. Not all soy sauces, olive oil and spices are considered raw. You would want to make sure the one you are using is raw if you are on a raw diet. As well as an interesting article with more information about it, click here to read it! 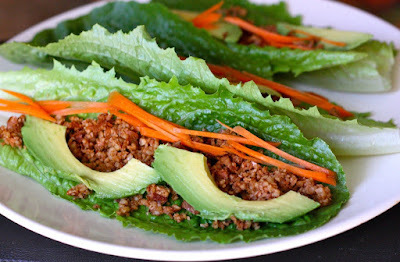 It is delicious in a lettuce wrap (as pictured), on a salad or pretty much anywhere! This can be stored for up to one week but typically does not last that long. This is a basic recipe, feel free to add other vegetables to it if it gets too thick just add a bit of water! My 4 Favorite YouTube Channels for Yoga! Hey everyone! Today's recipes is going to be a Vegan Italian Meatball. This has been one of the best things I have made by far. No only is this recipe delicious it is also flexible! With a quick change of the seasonings (especially the herbs) used in this recipe and you can make a different "meat"ball. The key ingredients here are the Maply syrup and liquid smoke. Those two ingredients are my secret ingredient in any fake "meat" recipe I make. The two flavors combine really well and make a wonderful smokey flavor. These are really good with pasta and a red sauce (as pictured) or even on their own as a snack! This is a new family favorite and I hope your family enjoys it as much as mine does! The Keto Diet, Can It Be Vegan Friendly? What I Eat in a Vegan College Away Weekend! It is (Vegan) Taco Tuesday! Which Vegan YouTubers Should YOU Watch? Cilantro Love It or Hate It!